A date for your social and festive diary: wednesday 17th December 2008. 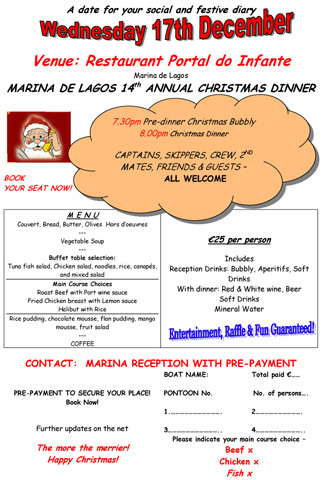 For details, see the attached poster or contact de Marina's reception office. With the Support of the European Union. We will never share your details. Terms and conditions apply.